The Building Plans are very useful and even necessary for architects, builders, designers and simple for those who want to build the home, office, flat or anyone other building. They are also convenient for those who want to design or redesign the home, flat, room, etc. 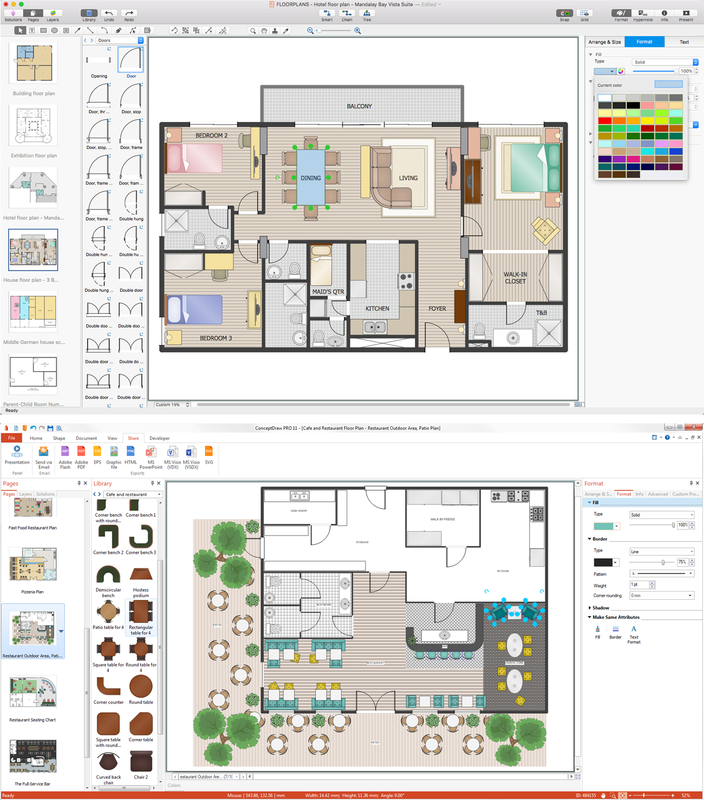 Solutions of Building Plans area for ConceptDraw DIAGRAM provides templates, samples that allows you to create the professional looking Building Plans in one moment. 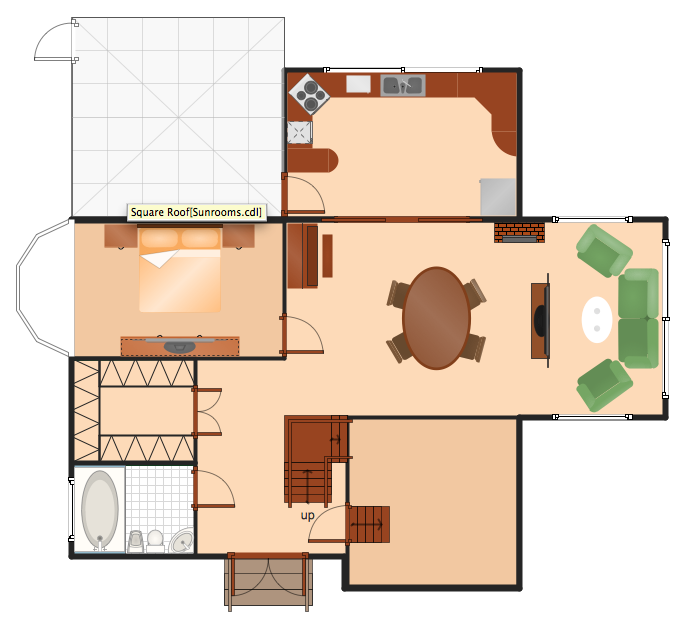 Using the pre-designed stencils from the libraries of the Solutions of Building Plans area you can draw your own professional Building Plans of any difficulty quick and easy. 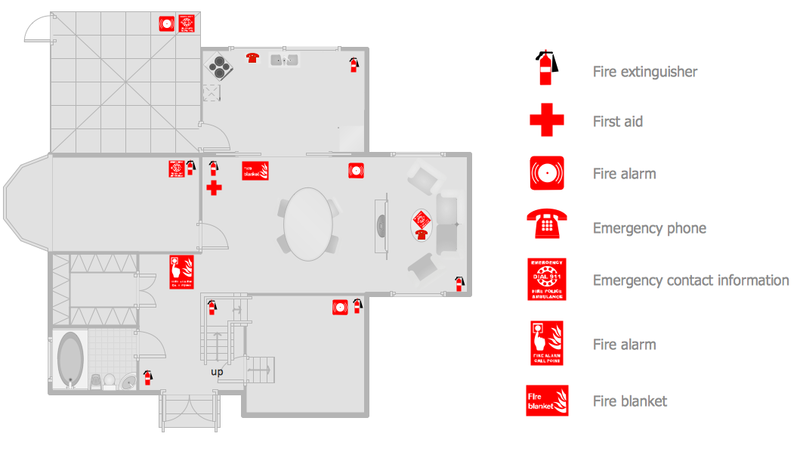 This Fire Emergency Plan was designed using the libraries of the Floor Plans Solution from the Building Plans area of ConceptDraw Solution Park.